You know you should make compounds the staple of your workouts. But when and how should you use isolations? There are instances where they are useful for any trainee. I’m as compound-centric as a bodybuilder gets – knowledge, experience and anecdote teach me that all the big people got big from getting strong on compound exercises, and that it’s the only way for a natural bodybuilder to grow as quickly as possible while remaining healthy and functional. It’s not that I don’t like isolation exercises, I just consider them vastly inferior to compounds, and hence adequate only in special training conditions. These cases include injuries and rehabilitation, and specialized corrective work, but only for trainees who have seen the majority of their gains and now wish to refine their physique. There are, however, several isolation exercises which can be done by trainees in any group, with some of them being an absolute must for injury prevention and ensuring a long and fruitful training career. These are small exercises which hit bodyparts which don’t get enough work from compounds, or help those who don’t get as much work as their antagonists. As such, they don’t interfere with training, but help surely improve one’s physique and allow him to keep on lifting and progressing. This section is mainly to sort out a doubt which might spark questions such as this: “Hey, Wolf, why don’t I see stiff-leg deadlifts in your list of essential isolation movements?” This can have two possible answers, as I either don’t consider SLDL an essential movement, or I don’t consider it isolation at all. Well, both of those statements are true, but only the latter is of concern to us. This is because most common definitions label the SLDL as an isolation exercise. The criterion used to make that conclusion is fine and generic as well: a compound exercise is one where the main movement occurs in two or more joints, and since the main movement in the SLDL is at the hips alone, it’s an isolation exercise, right? As much as I’m all about having strict definitions and terminology for bodybuilding-related discussion and training analysis, I prefer to use a looser definition of a compound exercise, which says that a compound exercise is the one which involves a large portion of your musculature. Yes, it’s imprecise and thus much worse than the conventional one, but it allows me to expand the compound umbrella on movements such as aforementioned stiff-leg deadlifts (and similar exercises, such as good morning and Romanian deadlifts), full hanging leg raises, heavy dumbbell pullovers and glute-ham raises (GHRs are actually a funny fish – if done on the GHR platform, they tend to consist of two separated parts, a hip extension followed by a knee flexion, but both of these target almost all of the posterior chain so that my shaky definition permits labeling them as a compound). Why am I applying this new definition in the first place? The reasoning is kind of ideological in nature, but nevertheless valid and important from the practical side (and that’s all that matters in the end). You see, I picture isolations as small movements, which don’t add much to a routine, but neither do they take away from it, therefore, when programming a routine, their effect on one’s recovery can be overlooked (as long as their number is kept in moderation). This means that I can decide to throw in a set of seated EZ-bar overhead triceps extensions at the end of my routine without even thinking about it, but the same cannot be said for stiff-leg deadlifts, which target your entire posterior chain, from the neck to the heels (if you never felt your back working to stabilize the weight in this exercise, please slap some plates onto the bar). This brings us to another important point, and that’s the difference in the amount of weight that a compound exercise permits using. How much weight can you move in a triceps extension? 50 kg, 60? And how much do you use on SLDL? 120, 150? The more weight you’re using on a free-weight exercise, the more stress that very exercise places on your entire body and digs deeper into your recovery abilities. This entire discussion does have a purpose in the context of this article, and that is to illustrate that most of the exercises we’ll list and examine shouldn’t make any significant impact on your recovery, plus they’ll take a very short amount of time to get done, therefore you have no excuses for not doing them (and you really should, for your own sake). Of course, there are exceptions to this rule, and we’ll actually begin the article by taking a look at a really unique and misunderstood exercise which, despite being an isolation, can get so difficult that it requires careful integration into your program – the calf raise. Calves are a special breed, both in the context of this article and training as a whole. Most exercises this article deals with serve the simple purpose of ensuring training longevity by preventing muscle imbalances and thus keeping your joints healthy. This isn’t the case with calves – you could never do a calf raise in your entire life and nothing would’ve happened (although having weak, spongy calves can have repercussions on its own, but this isn’t our point here). Besides, calves do get training stimulus from major compounds, even though people rarely recognize it (which doesn’t come as a surprise considering the fact that most people think that there are 7 muscles (or worse, “muscle groups”) in the body – chest, back, shoulders, biceps, triceps, abs and legs). The actual truth is that basically every compound lower body exercise involves the calves during the extension of the ankle (this is called plantar flexion) – if you think of all the weight you’re moving on squats and deadlifts, you probably wonder what’s the point of having the calves in this article. Then you remember that you’re using your calves every time you walk, or run, or ride a bicycle (heck, even when you drive you car), and think that calves already get plenty of work on their own. In my opinion, calf raises should be done for two interconnected reasons. The first would be the bodybuilding fact of calves being one of the focal points of your physique. Having weak calves isn’t so much of a joke or a shame as it is to have the “lightbulb build” (developed upper body, but no legs), as calves did get the label of being related more to genetics than training effort, but still, having strong calves greatly enhances your physique. They’re both a rarity and a necessary pre-requisite for a balanced, aesthetically pleasing physique. So, if there’s one bodypart that you most likely wish to bring further up, it’s your calves. The second reason stems from the first one. You need big calves, but regular bodybuilding training won’t give them to you, despite their involvement in the heaviest compounds, as calves are one strong muscle. I don’t have to pull out a textbook such as Grey’s Anatomy, which names the soleus (a part of the calf muscle), as the muscle which exerts the most force – if you train at a well-equipped gym, check out the calf raise machine, and poundages to which it is/can be loaded – it’ll most likely exceed a thousand pounds. And this is an isolation exercise, which, on top of the weight added, moves your entire bodyweight, which is indeed a rarity (fairly similar cases are with the sissy squat and the glute-ham raise, although both of these don’t include the weight of the lower legs). This makes calves really unique a muscle – you’ll never be able to curl more than you can pull, but your calf raise has the potential to be your strongest exercise weight-wise. There are, of course, examples of people or groups of athletes who have extraordinary calf development due to all the simulation it gets from the sports they play (like sprinters, volleyball players, sometimes dancers), but I am a bodybuilder, giving advice to bodybuilders, so I use bodybuilding methods to get what I want. The number of calf exercises is fairly scarce, both in their unique forms and variations. If you can spend all your fingers counting them, then your really have a great knowledge on various exercises, as most people can’t go past two or three. 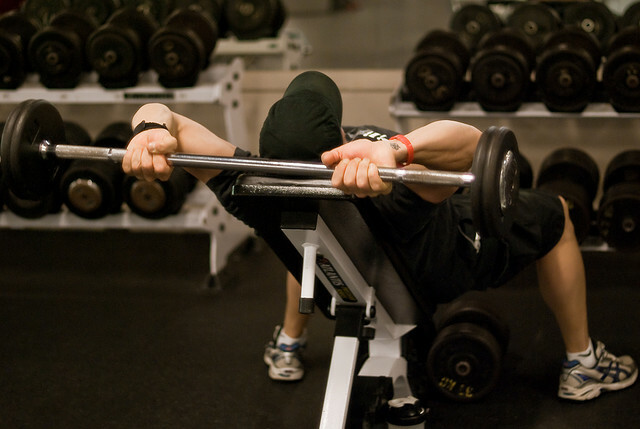 Compare this to arm curls, variations of which are practically invented on daily basis. This, of course, won’t reflect badly on your training in any way, since everything that you need to get your calves growing basically fits into two simple exercises, both of which can be done at home with free weights only. These exercises are the unilateral variations of the standing and the seated calf raise. Why two exercises, and do you need both of them? Well, yes and no. You see, the calf muscle, m. triceps surae, actually consists of two muscles, the two-headed gastrocnemius and the single-headed soleus. Both of them are activated during any calf raise variation, but not in the same amounts – gastrocnemius tends to be dominant when the calf raise is performed with the knees extended (think standing calf raises, donkey calf raises), while the soleus is activated more when the knee isn’t fully extended (seated calf raise). They also differ slightly in their respective fiber compositions, meaning they respond better to different rep ranges – gastrocnemius grows best in the moderate rep range (6-12 reps), while the soleus tends to favor higher repetitions (20 at least, this muscle is slow twitch dominant by whooping 88%). In other words – doing just one of these exercises (preferably the standing calf raise) will give you great calf development, but including the seated calf raise will most likely push this development even further without that much effort. I’ll conclude this section with some tips on how to make calf training productive. a) Use enough weight – I said this earlier, and I’ll repeat it: calves are very strong muscles. Using 50 pound dumbbells for curls guarantees somewhat developed biceps, but that same 50 pounder, coupled with your entire bodyweight, won’t make any difference on your calves. This is why the calf raise is in the “potentially hard ones” section of this article, as making effective use of this exercise will require dumbbells in the range of 100-150 lbs, if not more. This is one of my reasons for recommending the unilateral version of the exercise, as it reduces the required external load by almost a half (bilateral deficit makes this value slightly lesser than 50%). Loading and using a 50 kg DB isn’t that big a deal, but having to put over 150 kg on your shoulders (should the bilateral calf raise be used) is a nightmare for most non-advanced home trainees, especially considering the TUT that I recommend to get the calves growing (more on that in point c). The necessity of using such heavy weights is one of the reasons why I labeled this isolation as a hard one. Remember what I spoke about in the introductory part of the article, how isolation movements shouldn’t mess up your overall recovery due to the light weights that are used. Well, calves are an exception to this rule as well. As I said previously, the DB you use to load your unilateral standing calf raises will probably be the biggest dumbbell you’re using. And not only that, you’re using just one at a time (lots of core stabilization necessary to keep you upright), and for a fairly long time (again, we’ll get there in point c). Because of this, you can’t just throw in this exercise wherever you like. 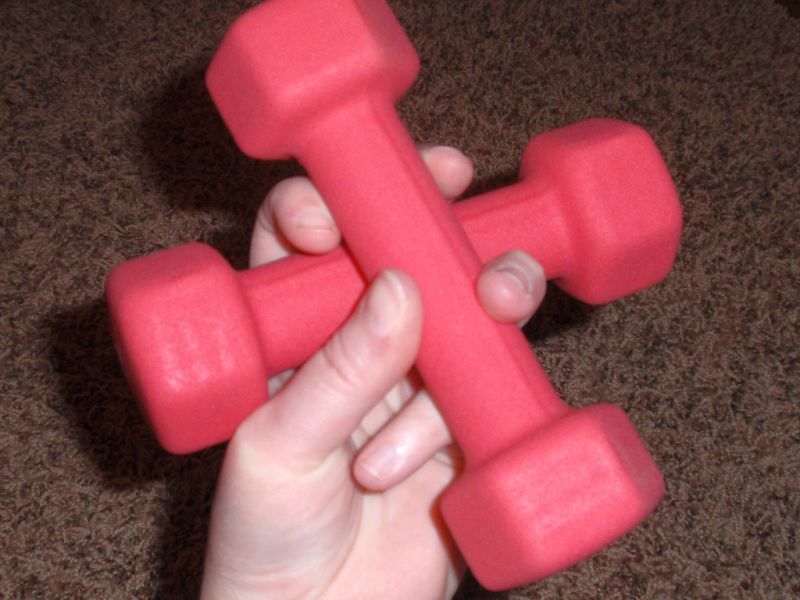 If you have great grip and core endurance, fine, but otherwise be weary of these things. Seated calf raise can get messy on this part, especially if you train at home without a seated calf raise machine. If you think you have to use lots of weight on the standing calf raise, you haven’t tried the seated one yet. Not only will you have to make up for the lack of your own bodyweight, but will most likely have to stack some additional plates besides the weight of the DB you used for the standing version. All of this translates to tons of plates which you have to stack on your knees and hold onto to prevent it from falling while you perform the movement itself. If we count in the plates you need to get sufficient ROM (see point b), then you most likely don’t have enough weights in your home gym to get anything out of this exercise on the regular basis. You can, however, do it once every few weeks, for (very) high reps, 30+, and fairly little rest between sets. Again, this is only if you’re too strong to safely use sufficient weight – if not, good for you, you still have a lot to grow. b) Use the full range of motion – With calves, this means putting the ball of your foot on a block 5-15 cm high (depends on your flexibility and shoe size, naturally). This block should be rounded and preferably coated in rubber or something similar to make the exercise more comfortable. You don’t have to make or buy anything similar, stacking a plate of two will suffice. Please make sure to go from full stretch to full contraction, instead of fooling around with short, bouncy reps that only waste your time. This is probably the biggest obstacle most bodybuilders face in their quest for great calves, after giving up by saying: “Calves are all genetics.” and never trying to train them properly in the first place. There’s another good thing about using such extended ROM, as it will actually reduce the amount of weight needed to properly stimulate the muscle, thus prolonging the time you can spend adding weight onto your dumbbell before it becomes too big (i.e., you can’t stack any more plates onto the handle). c) Use proper tempo – I occasionally get criticism for giving attention to tempo prescriptions and treating it as an important variable. Most of the time, however, these people don’t understand that tempo prescriptions are more like guidelines, instead of solid time spans which you should strictly adhere to – they tell you which part of the lift should be emphasized, and by how much, and this, in the end, does make a huge difference, especially with isolation exercises (you may notice that I never prescribe tempo on major movements in any routine, and absolutely never on deadlifts). The common tempo which I recommend on the calf raise goes like this: 52X1. Let’s go through the entire tempo prescription and examine its every part. The first two numbers are actually the most important ones, and, like the issues discussed in points a and b, are vital to ensuring quality calf training. The first number is the negative phase of the lift (I know that calves begin with the positive phase, but this is just how tempo is notated). Again, this “5” doesn’t literally mean 5 seconds, but rather that the negative phase should be very slow. Normally, the negative phase is controlled, or slightly slower than that. With calf raises, it should be extra slow. It can actually go beyond 5 seconds – for example, DC training recommends 15 second negative phase on the calves. Coach Poliquin relates this to some studies in the field of biomechanics which stated that the calves take the majority of the load during the landing of a jump. Such a slow negative also serves to introduce the next important stage of the calf raise, which is described by the second number in the tempo prescription. Bodybuilding is not a race where you win first price for finishing faster! The second number is the pause in the bottom, or stretched position. Remember that proper calf training involves using a block to extend the ROM, meaning that the bottom position will have your calves stretched far beyond the point in which they are during everyday activities that include them, like walking or running. If such a stretch is done suddenly, a phenomenon called the myotatic reflex comes into play, which manifests itself as a reflex contraction meant to get the muscle out of this stretched position. What this basically does is gives you power to propel yourself upward, which reduces the work done by your calves during the next positive phase of the lift. Pausing in the bottom position for a few seconds dissipates the myotatic reflex, allowing you to perform your next rep properly. After this, there isn’t much to say on tempo. Proceed with an explosive positive phase of the lift, and hold the contraction at the top for one second. This helps ensuring that full ROM is used, so that you don’t stop half way because the exercise got too hard (and it will, especially if you follow these guidelines). It also helps to create mind-to-muscle connection with your calves, which is always a good thing to have. Don’t miss part II! In the second part of this article, we’ll examine several isolation exercises that are crucial for injury prevention and training longevity. Stay tuned! Pictures courtesy of John O’Nolan, U.S. Air Force, Benjamin J. DeLong, “SidewaysSarah” and Martin Pettitt.